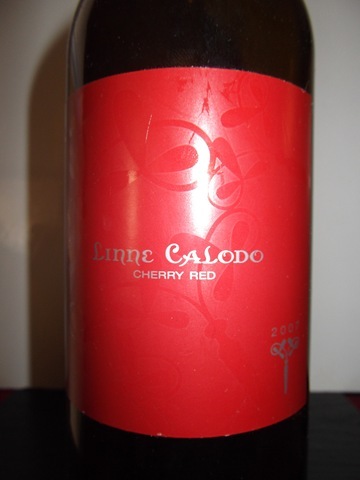 Linne Calodo Cellars-Cherry Red-Zinfandel-Mourvedre-Syrah-Paso Robles-California-2007-15.7% Alcohol-$55.00-A nose of sweet dark fruit and spice, dark black purple in color. 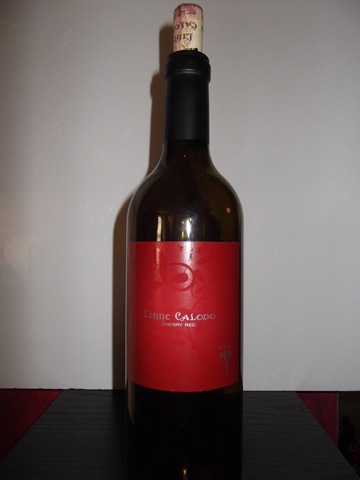 A bold, full bodied Zin blend, with cherry jam, blueberry, black cherry, a spice box full of flavors with a very long finish, decant for a hour plus. 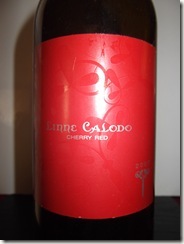 I am a big fan of the Linne Calodo blends, always good wines. RP-96 CR-93 Good with ribs, chicken, pasta. Bodegas Y Vinedos Pujanza-Hado-Tempranillo-Rioja-Spain-2009-14.5% Alcohol-$12.60-A nose of cherry and spice, dark amber in color. 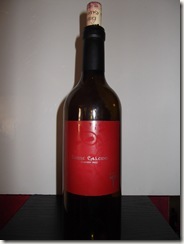 A medium to full bodied red, with black cherry, blackberry, rich with vanilla toast, spiced finish. A very good QPR. RP-90 WS-86 WE-88 CR-89 Good with meats, chicken, pasta.